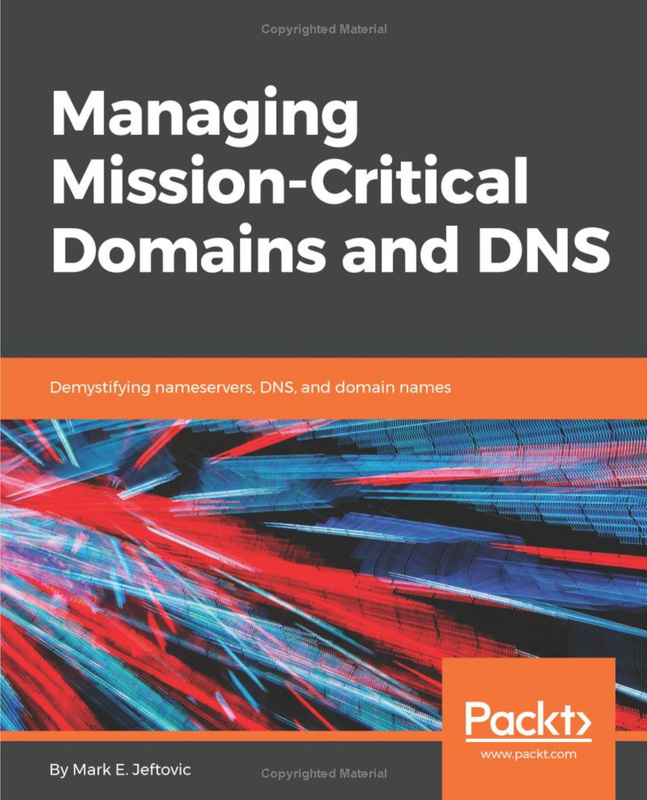 Editor's note: We recently received Mark Jeftovic's latest book "Managing Mission Critical Domains & DNS" packed with information covering the whole spectrum of the naming system. A 20-year industry veteran, Mark has shared numerous aspects of the naming ecosystem stemming directly from his personal experience. It's a must-read for anyone interested in making sense of the DNS world. Here is Mark sharing some additional background and overview of the book. 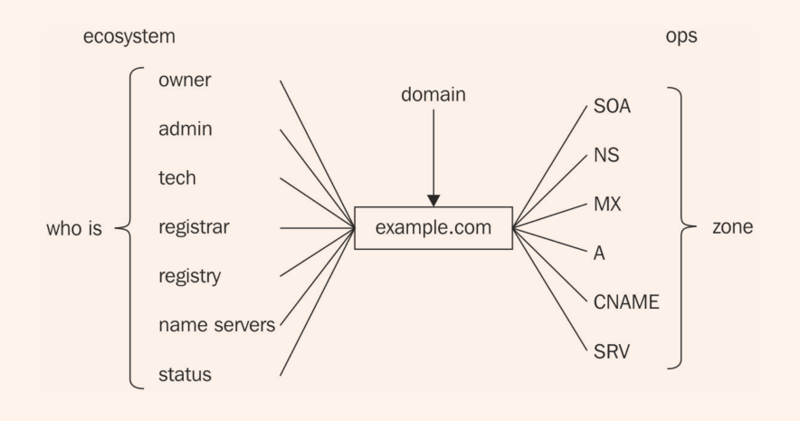 The idea behind my recent book "Managing Mission Critical Domains & DNS" is to provide a unifying overview around the area of domains and naming where I think there exists an artificial divide, and that divide exists between domain policy, and managing ones' domain portfolio; and the DNS ops side of things: running your nameservers or outsourcing to a vendor, or both. I'm not a DNS expert per se, unless you use Neils Bohr's definition of an expert as "somebody who has made all possible mistakes within a very narrow field". I haven't seen a book, ever, that has tried to synthesize the dual aspects of domain portfolio management and DNS ops so I decided to write that book. Overall, I think the book captures that. I'm aware of some formatting errors and through some miscommunication, all the chapter endnotes were converted into references, if it does well enough for a next edition I will be armed from experience to fix some issues. The book is available directly from Packt Publishing or the usual channels like Amazon. Reviews would be greatly appreciated. I found myself constrained by a character limit for the Acknowledgements section of the book, I was only able to list the names of those without whom the book would not have been possible. I'm thankful that my staff at easyDNS always know "to do the needful" (inside joke), freeing me up to write this book. Special mention to our COO Tamas Acs and CTO Ranko Rodic — I would never have been able to write this book without you two minding the shop. This business is blessed with some ethical, friendly gentlemen competitors like Steve Job at DNSMadeEasy (no relation), as well as Anthony Eden (DNSimple) and Dan Durrer (No-IP.com). If all business competitors were as noble as you guys there would be no strife in the world. Jim Carroll was invaluable in mentoring me through the gauntlet of writing a book without completely losing one's mind. Rick Brockhead is a literary agent par excel‐ lance who advised me throughout the contract process. Richard Lau and Jothan Frakes helped get the ball rolling on promoting the early version of the book by inviting me out to NamesCon. I have to make a special mention to Peter Van Dijk, Matt Pounsett, Patrik Lundin and Cricket Liu; without them this book would have been unreadable. Peter Van Dijk's review of the initial draft was exhaustive and he brought to my attention myriad factual errors, inconsistent thinking and flawed reasoning which, albeit painful and at times humbling, did help immensely. Matt Pounsett did much of the same, diving down in innumerable places with crucial references, pointers and corrections. Patrik Lundin was the very first reader to provide edits from the very beginning of the early-release schedule and went on to review the entire manuscript in detail and with comprehensive illuminating feedback. Cricket Liu helped me understand that I had wandered off-message for a large chunk of the first draft and made it possible for me to refocus and retrench back to the original target audience and base concept. and Joe Abley who allowed me to pepper him with a steady stream of questions. If this book is deemed "a success", it wouldn't have been possible without these technical reviewers. Thank you. Last but not least I'd like to nod to Bert Hubert and Paul Vixie who never fail to take time out from their busy schedules to answer questions and help clue me in. Thanks also to everybody at Packt. By Mark Jeftovic, Co-Founder, easyDNS Technlogies Inc.
Local Time: Thursday, April 18, 2019 06:09 AM PDT – Page Load: 0.3529 Sec.